A unique opportunity. Totally turn key unit. Located in the private back part of the complex. Air units, exterior and interior are less than 3 years old. Washer and dryer connections available under stairs, pre wired for alarm. Unit overlooks the beautiful pool. 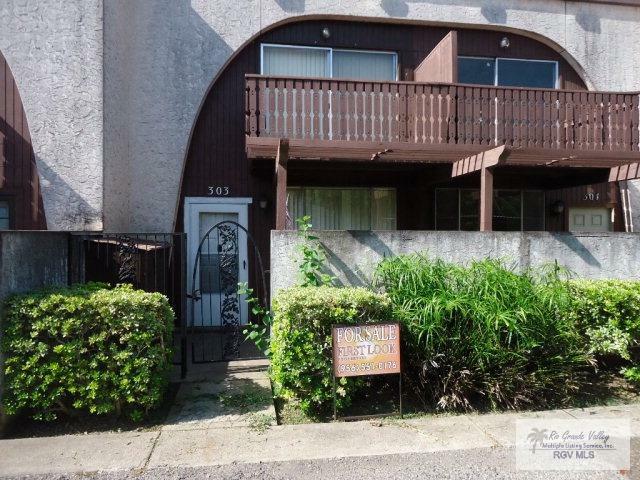 This unit has been a great rental and would make a wonderful starter home for a single person or couple. Detached one car carport. Ceramic tile downstairs. Refrigerator conveys with sale.Tenant occupied paying $650.00 per month. Expires towards the end of 2018. HOA of $175.00 includes water, sewer, cable, grounds maintenance and pool maintenance. Listing provided courtesy of Kevin Armstrong of First Look Properties. © 2019 Harlingen Board of Realtors Multiple Listing Service.